When your project calls for some epic background music, this music pack delivers the drama that you’ll need to WOW your audience. These tracks are bursting with cinematic intensity and will give your project that big budget sound track for a tiny fraction of the cost. If you want that epic ‘blockbuster movie’ sound, this is the music pack for you. 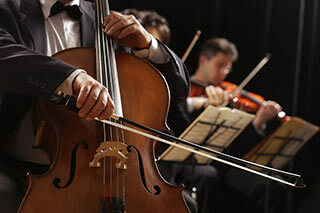 Harness the awesome power of a full orchestra and grab the attention of your audience with these epic, cinematic tracks. This music pack features 8 epic background music tracks that can really make your project stand out. These tracks would sound right at home in an episode of ‘Game of Thrones’ or in the latest ‘Hobbit’ movie. Whether you’re producing a corporate video, game soundtrack or television drama, your standard Q-Music license will cover you for pretty much most uses. See the usage list to the right for a quick list of acceptable uses. A music pack is simply a collection of music files that you can download as soon as you’ve completed your order. With this particular music pack you get eight full songs to download in both MP3 and WAVE file format. It’s kind of like buying an album from iTunes except you’ll be licensed to use these tracks in your multimedia projects. You get eight epic background music tracks, featuring a massive orchestral sound that adds huge production value to your presentation. Simply loading these tracks into your project will instantly add some high class drama and a cinematic quality to your sound track. Just take a listen to these track previews to hear ‘Epic Background Music V1’ in action. When you purchase this epic background music pack, you’ll get to download the files right away. It’s really simple to order and download your sounds so you can get back to working on your project. 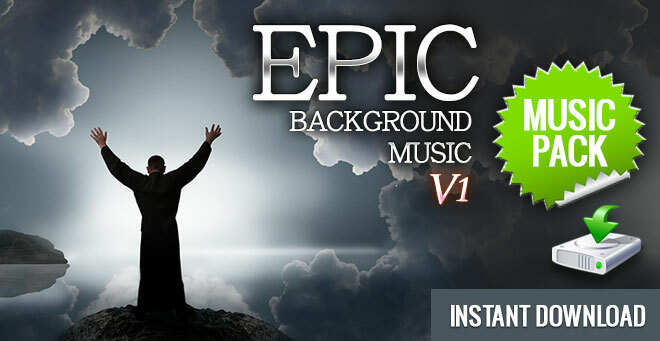 Download ‘Epic Background Music V1’ right now and get serious about your epic sound track. 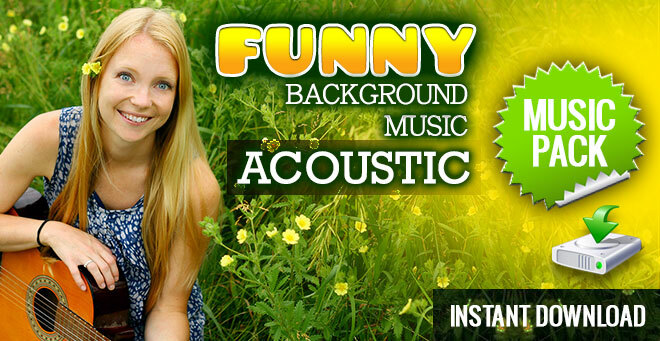 Also, check out ‘Epic Background Music V2‘ for the ideal partner to this music pack.